here is another sunburst card. This one I didn't use a card map, I just cut scraps to points and then just layered them around from the center point and then trimming the outside to form the card. 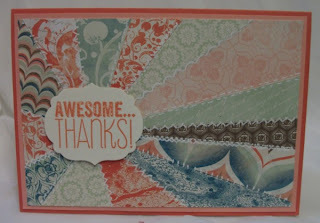 I LOVE the colours and retro patterns of this DSP - Venetian Romance. 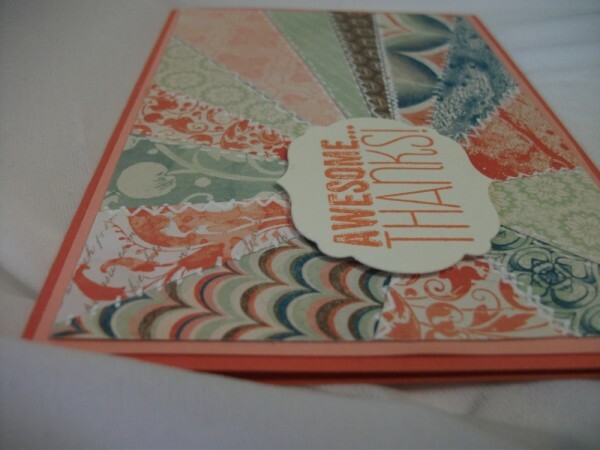 It's one of the lovely packs available in our Stampin' Up! Annual Catalogue. I used just a white gel pen to create the different stitches on the 'seams' but you could actually sew them if you want - I was just being lazy but pleased with how it actually came out! 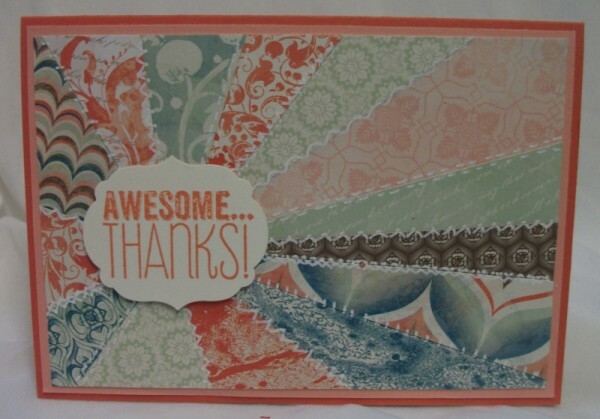 A wonderful card. A great way to use up scraps. The stitching looks great too.